Chapter 13 bankruptcy puts an immediate stop to foreclosure and allows you to take up to 5 years to pay back your missed mortgage payments and other debts. In many cases, you can wipe out some or all of your credit card debt as well. Chapter 13 can be a good choice if you want to keep your home, cars and personal property, but you need time and better payment terms. At its core, Chapter 13 is a payment plan. In order to qualify for Chapter 13, you must have a regular source of income, preferably in the form of a steady paycheck. Your Clark & Washington attorney will evaluate your income and expenses and calculate a repayment plan that will meet the approval of the Chapter 13 trustee and your bankruptcy judge. Once this plan is in place, you will remain protected from all creditor action while you fund your repayment plan. Chapter 13 plans typically last five years. The automatic stay protection remains in force until your case pays out, or otherwise closes. The lowest cost to file a Chapter 13 Bankruptcy will be the mandatory credit counseling fee of $40.00 (this includes both the pre-petition and pre-discharge counseling). We can also obtain your 3 bureau credit report for $30.00 for a single report, $50 for a joint report. This is not mandatory but we find these reports very helpful if you don’t have a complete and accurate list of creditors. 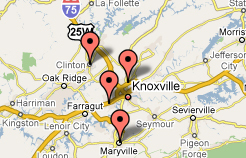 Credit Report from all 3 bureaus. It’s important to have a very accurate report from all 3 bureaus. The court charges a mandatory fee for adding additional creditors after you file. Pre and Post Mandatory Credit Counseling. Additionally we can retrieve your tax returns in case you don’t have them for $10 per person. All attorneys’ fees for a Chapter 13 are routinely put into the repayment plan and are priced based on your unique financial situation. The Chapter 13 Trustee will pay the attorney’s fees on a monthly basis along with the other creditors. Of course, your financial circumstances may change while you are in Chapter 13 – if you find that you can no longer afford your Chapter 13 plan payment, your Clark & Washington lawyer can either modify your plan, or we can convert your case to Chapter 7 and wipe out debts. 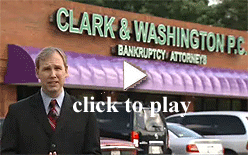 Either way, your Clark & Washington lawyer will stand by you every step of the way while you are in your bankruptcy case.